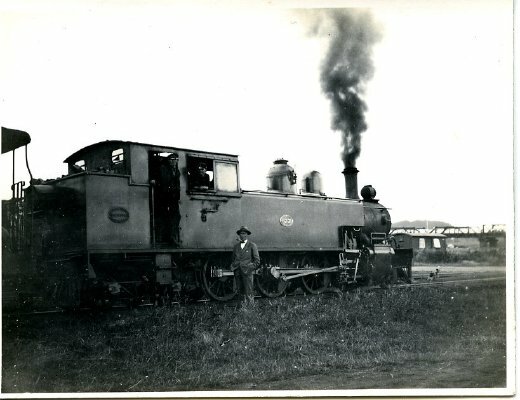 Description Train Engine waiting at Patea, with Mr. Edmonds standing beside engine. Plaque on side of Train shows number 677. Inscribed on back of photograph: "The driver and fireman of the train which we found at Patea. Taken at that place while waiting fro the rest of the passengers from Waverly."